Mention Nicola’s name in Zanzibar and everyone in the hospitality industry will know him. Nicola was a well-known man and popular among Zanzibaris and the expatriate community in Tanzania. I first heard the name of Nicola when I was doing my O-Levels in Arusha in the early 90s, later on, I came to find out that he was the brain behind the famous ‘ Slipway Dar-es-Salaam, a well-known meeting place to enjoy the sunset and a hanging out. Born on 26th October 1943, Nicola had a special bond and connection with East Africa, not only he loved the beauty of the land but also its people. He was a passionate explorer. Nicola came to Tanzania for the first time in 1964 after spending a few years in West Africa. He returned in 1965 to start a job as an electronic engineer with TANITA under the mentorship of Carlo Martelli. Nicola’s father who served in the navy in Le Spezia died in 1946 when he was merely 3 years old. La Spezia was a departure port for the Italian Navy during the Second World War. In 1967 during the famous ‘’Arusha Declaration’ Nicola left Tanzania for Kenya. Whilst in Kenya, he was able to become the agent for Pirelli and sold materials and components related to rubber including the famous “Pirelli tires”. In 1971 he met Carolina whom they got married in 1974. That was the time Nicola and his love for aeroplanes also started and blossomed. During the early 1980s, when the Revolutionary Government of Zanzibar was renovating and expanding the Kinazini -Bububu Road, few people would know that it was Nicola under his company Coastal Steel Industries who were the sub-contractors who teamed up with a Japanese company, Kajima, to carry on the roads. Upon the completion of the road, it paved the way for Nicola to buy the Mtoni Contractors Compound area which was used for storage. Towards l990, Nicola under his company, Coastal Steel Industries (Zanzibar), established Mtoni Marine Center, which was among the early seafront hotels, opening up a new chapter for the tourism industry in Zanzibar. Nicola was not only hardworking and industrious but a master in finding the hidden patterns and make connections towards his creative ideas. He would get people to join on board with his plan and make them own it, a real Medusa. 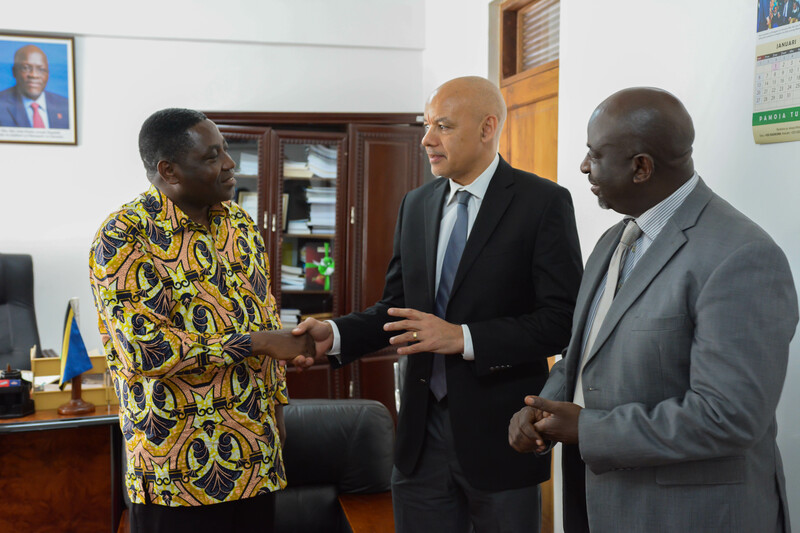 Former Minister of Tourism in Zanzibar Mr Mohamed Aboud who now serves as a Minister of State in the Second Vice President’s office, recalled his friendship with Nicola saying he was a man who was always ready to support progressive ideas. Aboud said Nicola opened up the skies of Zanzibar by starting scheduled flights between Zanzibar-Pemba-Tanga-Dar-es-Salaam. International visitors and locals were able to use Coastal Travels to fly between the mainland and Zanzibar. Nicola believed that tourism in Zanzibar should be sustainable and saw culture as a strength in marketing Zanzibar as a destination, according to Mr Aboud. Nicola always connected his ideas and his businesses with his staff as testified by Justin Kibasa who worked with Nicola since 1980 under Coastal Steel Industries. Kibasa says Nicola did not like his staff to do one job in particular. “You had to multitask and one had to be dedicated to what they were doing. If you did not understand, ask him 100 times, he was willing to coach you again and again. He said the Italian loved training and promoting Tanzanians. With the growth of Coastal Steel in Tanzania, Nicola was forced to employ a pilot to fly him around the country. This was around 1982, and surprisingly there were only three registered construction companies in Tanzania for large projects, and Coastal Steel was one of them. From a peasant family, Nicola who acquired navy training as a young man in Italy and later an electronic engineer with TANITA went to build an empire that touched the souls and people of Tanzania. Nicola always believed that hard work and passion for ones’ liking pays off. Tonino, a close friend and one of his staff whom we all know well in Zanzibar recalls he last met Nicola in June 2017 for a last memorable meeting with his mentor. As for me, my last contact with Nicola was in April 2017, when he sent me a private message alerting me to the development of Ethiopia and its tourism industry. Nicola will always remain an inspiration to his staff and many of the friends he met in his lifetime. I pen off with a heavy heart from Zanzibar but knowing Nicola’s legacy will live forever in our hearts. Nicola was cremated on July 28 and his remains buried in Italy on August 5.